I would like to thank the Ontario Arts Council for their generous support for the Chalmers Arts Felllowship. in San Francisco, USA. I appreciate their valuable help in this crucial time of my career. The Pan Am Path is an active living legacy project that will connect 84 kilometres of multi-use trails through Toronto’s diverse communities. The artworks selected for this project playfully explore themes of diversity and emphasize the potency of a simple shift of perspective. Shift will be launched on July 11th with a bike tour from 1-3pm starting at the Taylor Creek Park parking lot. Stops along the route will include a mural by the Z’otz* Collective, painted benches by the STEPS Initiative, an installation by Labspace Studio, and a mural by the Project Gallery Collective. Development grant for 2014 from the Ontario Arts Council. for 2014 from the Toronto Arts Council. 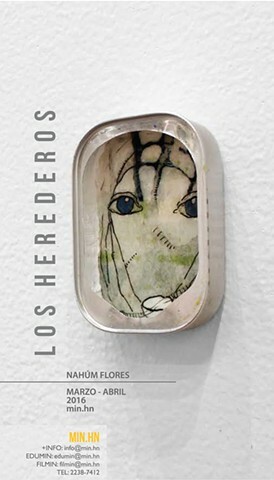 Nahúm was selected to participate in a one-week residency in Austin, Texas. He collaborated with Master Printers who mentored him throughout the production process of a limited edition silk screen series. El conjunto expositivo incorporará propuestas contemporáneas que surgen de ediciones anteriores de la Bienal de Honduras, así como propuestas nuevas, y estarán en diálogo con las obras presentadas para la cuarta edición de Bienal de Honduras 2012. Los cinco artistas invitados son: Celeste Ponce, Dina Lagos, Adán Vallecillo, Gabriel Galeano y Nahúm Flores. Pollock-Krasner Foundation in NYC. The award will facilitate him to create a contemporary project over the next year. The Pollock-Krasner Foundation supports artists of merit through the generosity of Lee Krasner, a leading abstract expressionist painter and widow of Jackson Pollock. Hourglass Continent reunites artists that formed the Latin Collective at Ontario College of Art + Design. They have remained allied by mutual purpose and awareness while their careers distinctly evolved in disparate locations. Each has developed an intensive, extended drawing practice that involves pronounced elements of Mexican and Central American iconography, mythology and history, combined with personal experiences. Montreal-based Osvaldo Ramirez Castillo and Oaxaca, México-based Oscar Camilo de las Flores were born in El Salvador and displaced during its civil war of the 1980s. Toronto-based Z’otz* Collective includes Nahúm Flores (born Honduras), Erik Jerezano (born Mexico) and Ilyana Martínez (born Canada). Hourglass Continent connotes an active, flowing Americas cultural diaspora that retains a distinctive granular composition as it pours across boundaries and over time. works that excavate memories on both a personal and a historical level.